Lola’s Ramblings: Do You Re-read Books? Today I want to talk about re-reading books. Sometimes I hear people mentioning a re-read on their blog or even review the book after a re-read, so I was wondering who of you re-reads books and why. And what you like about re-reading books. Short answer yes, but not a lot. In theory I like re-reading, but in practice I hardly ever re-read books. I think last year I re-read a total of 1 or 2 books and that was a book i got for beta read and then read the ARC later and wrote my review of it. I usually don’t review beta reads unless I loved the book already, so I’ll usually read the book again once the arc is released and read it then. So in the past few years that’s about the only books I re-read. When I was younger and before blogging I used to re-read a lot. I read the Harry Potter series multiple time and had some other books that I enjoyed and read multiple times. Then even later when I started reading more I did re-read a few books, like the first two Darkness Rising books by Kelley Armstrong and the Fever series by Karen Marie Moning. But the last few years I haven’t re-read a lot of if any books and it makes me sad. I plan every year to re-read more, but the fact is that often I rather read a book i don’t know yet and haven’t reviewed than return to a book I already know. It still is my hope that eventually I might get my to-read list a bit smaller and I take that time again to re-read books now and then, but at this point I don’t. I do want to re-read books, but I would rather read a book I haven’t read read yet. What Do I like about re-reading books? Familiarity. I like that sense of familiarity and comfort when you re-read a book. You already know and love the world, it’s not new anymore, but the fact you read it once already ads a layer of familiarity. It also feels like coming home or returning to a favourite place. Returning to a great book/ series/ world. There’s something great about returning to a book/ series/ world you already know and love. It’s fun and comforting to read a book you already know. Foreshadowing. One of the things I love most about re-reading a book is the foreshadowing and how much more you notice it when re-reading a book, all those little clues to a plot twist suddenly are obvious and it gives an unique perspective, knowing what will happen. Some things make more sense or have a different feel when you know what will happen. Like the bitter sweet feeling when you know a couple will break up or a character will die, but it hasn’t happened yet. Details I forgot. While I always like to think my memory is pretty good, when re-reading a book there are always details, scenes etc that i forgot. It’s always fun to read those scenes you didn’t remember and realize that happened as well. Attention for other details. When I re-read a book it feels like I pay attention more to other details than when I first read the book, as I already know what will happen, certain scenes or details catch my attention that I didn’t notice or didn’t pay as much attention to the first time. Little descriptions or details I didn’t notice the first read, suddenly catch my eye during a re-read. Different feel. In my opinion when I re-read a book it always feels different, you can’t read the book again without knowing anything about it like the first time you read a book, but I do think that a re-read can give the book a different feel due to you already knowing a few things which influences your experience of the book. More focus on the story/ less effort. I don’t mean this as to say reading a book costs effort, but I do think re-reading a book is a bit easier in some way. Especially with books like sci-fi, fantasy and paranormal books where you need to learn the rules of the world first. When re-reading a book you already know those things and you can focus more on the story. Same goes with characters, you already know who everyone is, so your attention will be more on the things you forget and the story as you already know how the world works and who the characters are. And starting a new book can be daunting sometimes as you plunge into a new world, but later books in a series and re-reads don’t have that. Do you re-read books? What do you like about re-reading books? I never re-read books, because the suspense is gone. I’ve tried re-reading books (particularly crime books) where I thought I had forgotten the culprit or the ending, but alas, it always comes back to me after a few chapters. I do re-read some excerpts though, those tidbits I really enjoyed, but otherwise, I can’t think of a single book I’ve re-read in its entirety. Not even my favourite ones! I agree the suspense is gone when re-reading a book, but I still enjoy a book the second time around, it’s just a very different experience. It’s less about wondering what will happen next and you can enjoy the story in a different way. I don’t re-read a lot of books either, but I do enjoy it. Re-reading a book you love seems to work great for getting out of reading slump, I don’t get reading slumps often, but I’ll have to give re-reading a try next time one hits. I really should make time to re-read more often. I love re-reading favourite books though I have less and less time to do that now. My fav series’ are like a comfort blanket and I like to whip them out when I’m feeling a bit blue or if I’m in a bit of a reading slump. I have re-read the Covenant and Lux series by Jennifer L. Armentrout so many times I have lost count (just adore them! )Sometimes, if I love a book so much I can race through it dying to know how the story pans out. In those situations, I immediately re-read it so I can savour the writing, spot all the little clues I missed and enjoy it without that frantic need to know what happens next. As an author, I will often re-read a good book to pay more attention to the writing and the structure and flow to see what I can learn, if anything. Great post, Lola! Yes re-reading a favourite series feels like a comfort blanket indeed and it can help cheer you up. I really have to make more time for re-reading books, but I always have so many new books I have and want to read that it’s hard to make time for re-reads. It’s awesome how you can spot all those extra clues when re-reading that you missed the first time. That’s why I want to re-read your True Calling series, I want to read it knowing what will happen and being able to spot all the clues form the first book already. I’ve never done the immediate re-read though, although with the beta reads I’ve done and read the arc as well I usually do re-read them quite soon and that works. I wish I could reread books more often!! I’m the same as you though… when it comes down to it, I think about all the new books I could be reading and I choose those instead. I’m just now rereading HP for the first time (I’m reading them to my son for his first time) and it’s SO fun. I’m definitely seeing things that I missed the first time around, feeling different feelings towards a lot of the characters, and having a lot more fun with it (because I know what happens, so I’m not having that INSANE emotional response). Yes there are so many new books to read, that I think of those first. I have re-read HP when I was younger as I didn’t have as many books back then and re-read books I really enjoyed. It’s fun how re-reading makes you experience the story in such a different way. I don’t re- read much anymore, although I used to as a teen. Now that I’m blogging I tend to want to read new stuff, so I don’t get to re- reads very often. But you’re right, the familiarity and details I’ve forgotten are two of the best things about it, when I do re- read. When I was younger I also re-read much more, as I had less books. I guess blogging does change us in that regard, we want to read the new books and our to-read list is so long we have enough new books to read. I totally agree with all of your reasons for re-reading books. I wish I could re-read certain books more, but now that I’ve been blogging for awhile, I just find myself too busy with other books, especially newer titles. At any rate, I hope to start re-reading Harry Potter soon. I know my sister wants to as well. I haven’t re-read those in YEARS and to be honest, I’ve only read the 7th book once which just feels kind of sad since I’ve read the others a lot more. Yes same here, with blogging I always have so many books for review and then books I bought and really want to read. It just seems hard to make time for re-reading. I also want to re-read Harry Potter, but then in english, as I’ve only read it in dutch so far. I re-read the first 4 or 5 books, but not the last two. The first few books I re-read all 3 times or so. When I was younger I re-read more books. I definitely agree with all of this! These are all the reasons I like rereading. It’s such a comfort being back with characters you love, but I still think the best is catching all those details and foreshadowing you missed before because you didn’t know to look for them. And, like you said, when you already know what will happen, you don’t have to pay as close attention to the main story and can therefore notice more and pay attention to different things. It’s funny though, now that I blog I actually reread more. I used to not understand the point of rereading when I was younger. But last year I reread four books in prep for series finales, and this year I already reread a whole five book series and am looking forward to rereading it again next year lol. I think I’m gonna make it a tradition because it’s such a comfort read for me now. And I am SO excited to reread this other series this year in prep for the finale because I loved it the first time and think there will be lots of details and foreshadowing for me to notice! Yes I love catching those hints and foreshadowing details I missed the first time. It’s such a different way to experience the story when your re-reading it, you pay more attention to some things and less to others. I think you’re the only one who re-reads more once she started blogging, so far everyone mentioned blogging made them re-read more. I think it’s great you still make time for doing re-reads. Those books with lots of foreshadowing are those I want to re-read, but also some favourites that I would like to re-read. Oh yes, I’m a re-reader. For the most part, I don’t have time. But lately, with the increase of audio books in my repertoire, I’ve had the opportunity. Either I picked audio books for myself of books I’ve already read, but want to try with a narrator or I’ve been offered books just coming out on audio that I’ve already read for review. The audio option gives me a new way of experiencing something familiar and invariably has brought out stuff I didn’t notice the first time. But as to books I actually have to read, I rarely re-read other than for two reasons. When I really need comforting, it’s a tried and true book I grab. Another reason, I’ll re-read is on your list- I missed stuff the first time. This is usually b/c I got a book that was either so intense or emotional that I flew through it and only paid attention for that one thing I needed to know. But I don’t re-read anything and everything. Some books have no appeal as a reread particularly if the big reason they were good was the surprise twist or exciting reveal. So I’m a picky re-reader. Haha! This post was partly inspired by you and Anna doing re-read reviews and it made me think of re-reads and then decided to write a post about it. I haven’t tried audiobooks yet, but I can imagine it would be fun to do a re-read in audio and experience the story in a different way. There are always some things or details you miss or don’t absorb fully the first read and it’s fun to re-read the book knowing what’s going to happen and being able to pay more attention to other details. And I do agree that not every book has re-read potential, some books I really enjoyed, but still wouldn’t re-read. Indeed when the best part is a big twist, the book might not be as fun the second time around. While there are some other books that I really want to re-read once. Ha! That’s great. Glad we could give you an idea for a discussion topic. It’s interesting where the inspiration for a topic can come form. Ah yes that’s a good reason to re-read books as well. I have quite some books from before I started reviewing where I don’t have notes for, it would be great to re-read those. I’ll have to try and join you next time maybe :). I do. I have the very first romance book that I ever read about 20 years ago. It’s Once In Paris by Diana Palmer. I have a bunch of her books and I have reread most of them. Some of the really big 600 and 700 page books I’ve reread like Acheron and Styxx because I know I was so enthralled in the books that I probably missed a few things. I hardly ever read such big books, for some reason I find them daunting. It’s great you have re-read so many books. And yes there are always things you miss or don’t fully notice the first read, which is why re-reads can be so much fun. I love rereading books! Especially books from my childhood, such as Harry Potter. There’s just something about returning to old favourites that makes me feel so content. However, I do find that it is really hard to find the time to re-read, which depresses me a bit. Yes re-reading old favourites also makes me feel content. I would like to re-read Harry Potter again, I read the whole series years ago and even re-read a few of the books back then while waiting for the next books to get released. I do struggle with making time to re-read as well, which is a shame. I love re-reading or re-listening. I haven’t been doing it as much as I used to. There are just so many new books that I want to read, that there doesn’t seem to be time for re-reads. I started out, when I first started doing audiobook, they were all re-reads. I rarely did new-to-me books on audio, so I was able to revisit a ton of books. Now, I’m finding so many new-to-me books that I want to tackle that I almost feel like I’m drowning in books. I still do it some. I re-read two series this year because it had been so long since a book had been released in that series, I wanted a refresher before the new book came out. Great topic. Same here, I love re-reading, but don’t do it as much as I used to before I started blogging. It seems so hard to make time for re-reads. There are some series I really want to re-read and sometimes it’s nice to re-read the books so far before the latest book in the series so you can get reminded of what happened so far and it’s all fresh in your head. I haven’t done many re-reads in the past few years. Last summer, I re-read my all-time favorite book during the summer and quite enjoyed being in that world again. When I was pregnant, oh so many years ago, and I was not feeling good, I re-read (and listened to) Harry Potter because I needed something comforting. Now, the only books I re-read are my own, three or four times to catch things that need changing or whatever. I’m usually pretty sick of my books by the time I publish them. Lol. I really want to re-read Harry Potter, but this time in english. Re-reading is so comforting and I would like to make more time for it, but it seems I always prefer to read a new book instead. I can imagine that if you have to re-read a book so often in a row it can get a bit annoying. I’ve not allowed myself to re-read in the past (with the exception of Pride & Prejudice) because I have such a large number of books to read, I figured I didn’t really have the time for re-reads. BUT I’ve given myself permission to re-read this year (I’m reading Kristen Ashley’s book in the suggested reading order rather than how I read them 🙂 ) and I’m loving it! Honestly, I think I’m enjoying them even more the second time around!! Obviously, I love the characters and the story, but I’ve been amazed by how much I’d forgotten and find myself connecting with the characters even more strongly. So while I won’t be spending entire months re-reading books, I am glad I gave myself permission to re-read some. It’s been a very pleasant experience! I do allow myself to re-read but with the big pile of unread books I still want to read, I just don’t make any time for it. It must be fun to re-read those books by an author you love and liking them even more the second time around. I probably will have to force myself to re-read or plan them in, else I won’t do re-reads. I might have to make time for a re-read once I am a few weeks ahead with review posts, then again there is this thick historical romance book I also want to read once I am a bit more ahead with reviews. Michelle@Because Reading recently posted…Bloggiesta Goal Post! I don’t make time for re-reads either, unless something changed, like when I beta read a book and then read the arc before I write my review. I enjoy re-reading, but at the same time I can’t seem to make time for it. I really want to re-read Harry Potter in english one day. Many people recommend re-reading for when you’re in a reading slump, so maybe you should give it a try and see if it works. Sure I do! But not as often as I used to. I only have a limited time to read these days, so I tend to gravitate to books that need to be read soon or books that I haven’t read. I re-read a lot when I have time and/or in the middle of a major book slump. Re-reading really helps me get out of a book slump! I used to re-read quite regularly when I was younger, but not so much if at all these days. And yes that’s exactly why i don’t re-read as much, there is only limited time to read and so many books I haven’t read yet and want to read or have for review. I don’t get in a lot of book slumps, but next time I get one I might do a re-read. oh I do love re reading. I have been trying every month to read a couple of re reads. It really refreshes my reading experience by reconnecting with those favorites. I’ll have to find a way to add re-reads into my reading schedule as so far I haven’t found a way I actually make time for re-reads. There are some books and series I really want to re-read. The only books I re-read are the Harry Potter books because I love them that much. I love the familiarity, but I also discover new things that I hadn’t noticed in prior read-throughs. Those books never get old! I want to re-read Harry Potter again once, I re-read the first few books a lot when I was younger when waiting for the later books to get released. It’s been my plan to re-read the books in english now as I only read them in dutch so far. It’s definitely a great series for re-reading. Since I started blogging I re-read a LOT less. I maybe re-read 1-2 books a year now. Sometimes I really want to re-read a book but don’t have time, so I’ll pick it up and flip to my favorite parts and just re-read those bits of the book before moving on and doing something else. I’ll be re-reading one series this year though. Realized I was WAY behind on a series. Like, I’d read the first 2 books years ago and then forgot to keep checking back for new books. It is now 5 books along and I have no memory whatsoever of the first two books. So I’ll be re-reading them so I can catch up with the series! Silvara recently posted…What Do You Do With Unsolicited Review Books? Only my harry potter books look really bad, me and my mom both read them and I re-read them a few times as well. That’s interesting you had to re-buy that trilogy so often due to re-reading it so often. That’s a good idea to just re-read your favourite passages. It’s a shame so many of us have less time for re-reading now that we’re blogging. I’ll have to make some time for re-reads. It’s crazy how one moment you’re caught up and then suddenly are 5 books behind, I have a few series where that happened to me too. I re-read all the time. Especially lately, as I’ve been super busy, so I prefer to read books I’ve read before. That way I won’t have to worry about forgetting what’s going on in a book I haven’t picked up in days if not weeks. I also don’t believe that a book is worth reading if I won’t want to read it a second time. I also remember a quote (though for the life of me I can’t remember where I read it) that said in order to completely enjoy and understand a book it has to be read three times. I feel like that’s true, sometimes I just feel like going back to a book and finding all the things I missed the first time. Yes it sure is easier to remember where you was left in the story when you’ve already read the books once. I like re-reading, but I don’t re-read a lot of books, so that statement wouldn’t be true for me. There are lots of great books that I probably won’t re-read. I do agree that re-reading makes you see things you missed the first time or details that have more impact when you know what’s going to happen. I am a frequent re-reader, for many of the reasons you give: familiarity and comfort, plus the fact that I always see things I didn’t see before: foreshadowing, details I missed, little in-jokes, and so on. In fact, I find that when I’m under stress, I much prefer to read a book I’ve read before. I can still immerse myself in the story, but I don’t have to worry about what happens next. I can see how while under stress it’s comforting to do a re-read. And it is easier to immerse yourself in such cases when you already know what’s going to happen and just enjoy the book. I really should make some more time for re-reads. I haven’t tried audiobooks yet, but it does sound like a fun way to re-read a book and experience it in a different way. I’ll have to make some time to re-read books this year, I always enjoy re-reading, but seem to prefer reading a new book. Like you, I re-read books a lot more before I started blogging. I do love the experience of re-reading a book, but I have so many books on my TBR that I just can’t wait to get to. I do still try to re-read books before the last installment in a series, though (so I have The Storyspinner and The Winner’s Curse/The Winner’s Crime to re-read because The Skylighter and The Winner’s Kiss both just came out this week). It’s a shame we have less time to re-read books due to blogging. Although all the unread books are also exciting. I have read sequels sometimes and wish I re-read the previous books, but often just hope there’s enough recap so you’re reminded of what happened in the previous books. It is a nice occasion for a re-read indeed. I should try and join you and Sophia, one re-read a quarter actually sounds doable. Or maybe see if someone does a re-read challenge I can join as I could use some extra motivation to get those re-reads done. And there are some books I read long ago and never reviewed that I would like to re-read and review then. Those review obligations and new releases are also the reason I hardly ever get around to re-reads. Yay! Oh I am re-reading a book later this month for which I did a beta read last month as I now received the arc and want to read that before I finish up my review. Although not sure if that counts. A low key challenge with a low goal might work. Although knowing me I would probably fail my goal anyway. 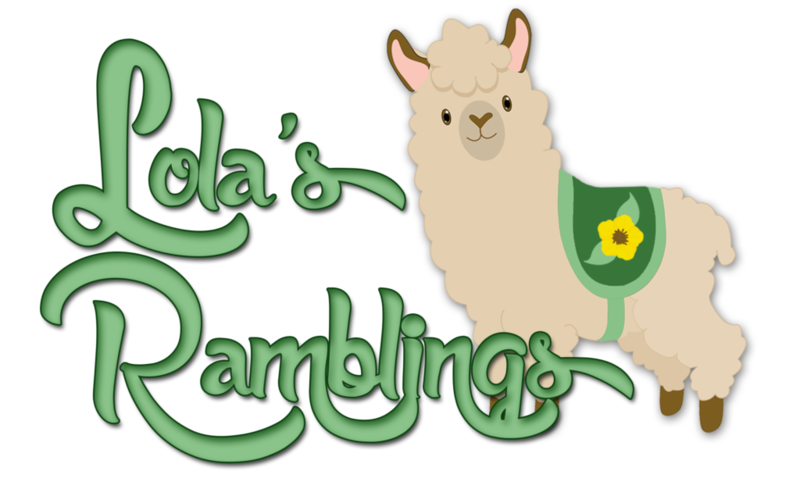 Lola recently posted…Lola’s Advice: Need help with Goodreads? I am currently reading that book I mentioned. I always enjoy reading the arc after the beta read, often there are small things that got changed, but I still notice them and as I am not beta reading I can enjoy the book a bit more.